Are you irritated with the slow 2G plans and the high tariff plans by 3G ?? Here I have discussed the cheapest 4G plans by any company. It is cheaper than 3G tariffs, don't be amazed its true. 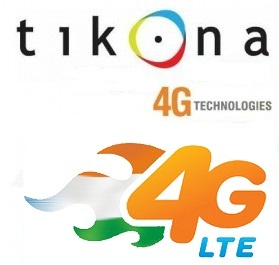 The Mumbai based Tikona company is all set to launch the cheapest 4G plans in Ahmedabad and Surat in 2013. The 4G service will be on 2 to 5 paisa per Mb plan. The 4G services will be rolled out using the TDD LTE technology. Airtel is using the same technology for offering 4G services in Kolkata, Bengaluru and Pune. Reliance Industries will also use TDD LTE for rolling out its services. Tikona would be targeting Gujarat, Rajasthan, Uttar Pradesh (east and west) and Himachal Pradesh circles, where it acquired mobile broadband airwaves for Rs 1,058 crore in 2010. "These tariffs will disrupt the market. We will be able to do this since we're already offering data plans at a price point of 2-5 paise per MB for broadband on Wi-Fi which gives speeds of up to 10 Mbps," said Prakash Bajpai, chief executive, Tikona Wireless. Tikona will not get into content side as that is being taken care by a separate industry altogether and the company believes that no operator can match that in terms of scale or variety. Ranade said that the company sees itself as a data pipeline provider and would like to focus on that. It is worth mentioning here that all the 4G service providers have to cover 100 per cent of the urban areas and 50 per cent of the rural areas in their respective circles by 2015. RIL will reportedly roll out its 4G services starting from Delhi and Mumbai in 2013. Airtel is also likely to launch its 4G services in Delhi, Mumbai and Chandigarh soon. here are some calculations for it being the cheapest 4G plan.... let us take 5 paisa per Mb. So isn't it the cheapest plan than 3G, now we pay around Rs 900 for 5Gb in 3G. So Tikona is giving the cheapest 4G tariffs 10Gb at just Rs 512.